Sri Lanka who chose to bat. 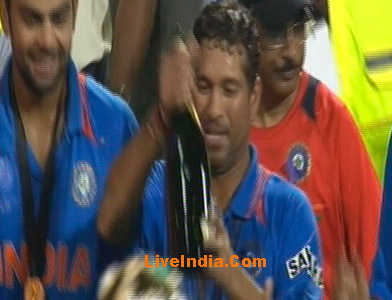 They made 274 runs in total which is quite dependable. 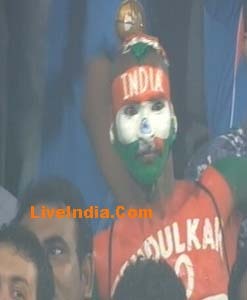 But keeping in view the strength of Indian batting, it was a little less score. Main reason for not putting up a good total by Sri Lanka was, unstable innings by their top order. In form Sri Lankan batsmen Upul Tharanga and Tilkaratne Dilshan were unable to make a firm ground for a huge build up. In the middle the innings was given some stability by Jayawardene who made 103 of 88 balls and gave some support. The total seemed to be a piece of cake for India. 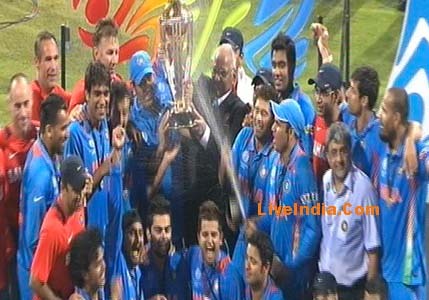 India lost 2 early wickets but this could not put any apparent pressure on India. 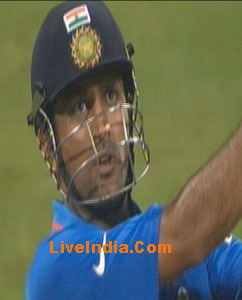 MS Dhoni (91) hit the winning runs by swatting a huge six over the long-on boundary. 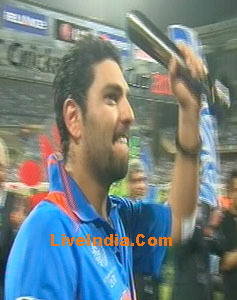 Yuvraj Singh (21) also remained unbeaten with the Indian skipper at the end. 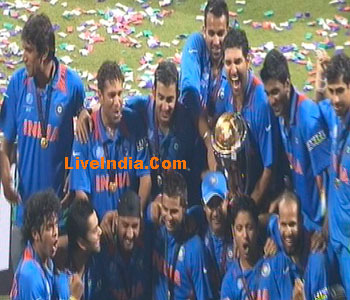 Gautam Gambhir led the Indian run chase of 275 but fell three run short of his maiden World Cup century. It was Jayawardene’s show all the way as the seasoned campaigner kept the scoreboard ticking even when wickets were falling at the other end. 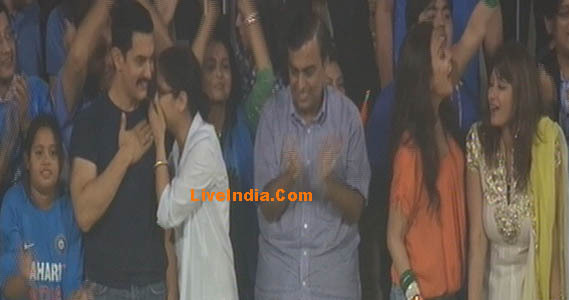 Sreesanth was equally unimpressive throughout the match. He bowled in three different spells but was scored off in each one of them. 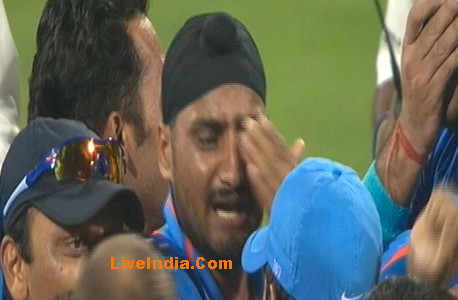 He couldn’t even finish his full quota of overs and finished with eight overs for 52 runs. 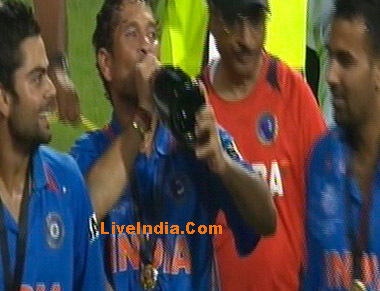 Sachin Tendulkar said he had achieved the one thing he had dreamt about when he started playing cricket. But he may not hang up his boots just yet. When asked about retirement, Tendulkar deflected the question initially, before saying he saw no reason to change things as he was still enjoying the game. 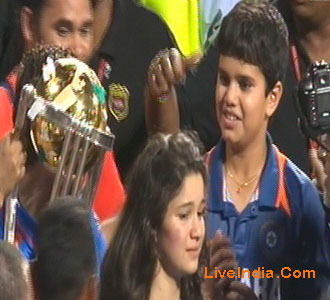 Tendulkar had to wait till his sixth World Cup campaign to win the trophy, and when asked whether this was the final accolade he needed to complete his closet-full of achievements, he said it was in fact the first thing he wanted to achieve. 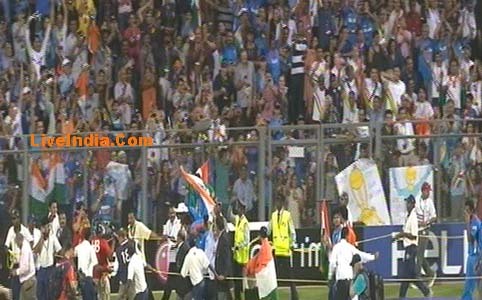 After their victory on Saturday, the Indian team spent the night celebrating with their families and friends before going to Raj Bhavan on Sunday to meet the Indian president. 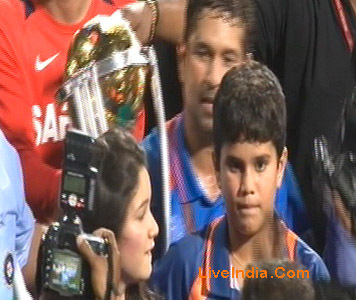 But what Tendulkar is looking forward to is sharing the experience with the Indian public. 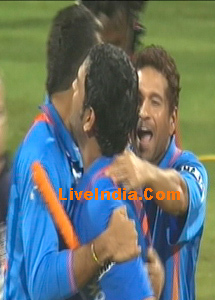 Tendulkar said MS Dhoni's winning hit in the final was the most unforgettable moment of the campaign. "The moment the winning runs were scored, I jumped," he said. 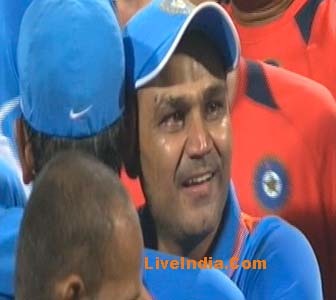 "Viru [Virender Sehwag] who was next to me, jumped too. We were sitting in the dressing room and praying."